In 12 Spirits Seducing the Church, Darrell McManus unmasks twelve destructive demons that are operating in our churches and in our homes today. This crucial information has been revealed by the Holy Spirit to Darrell over his forty-plus years of ministry as a pastor and evangelist. He has seen these destructive forces at work in both the family unit and in the corporate church setting – and he wants you to be aware of them too. 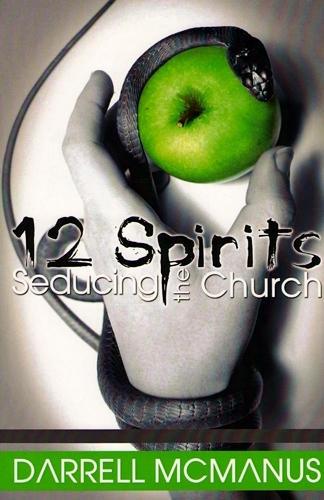 If you answered yes to any of these questions, then you, too, may have come in contact with one or more of these 12 seducing spirits. If you want to know for sure – and if you want to protect yourself, your home, or your church from these destructive demons – read this book and take the tests at the end of each chapter. It could radically change your life! With a ministry track record spanning over forty years, Darrell McManus has learned a thing or two about kingdom living. He has served as youth pastor, assistant pastor and senior pastor, and he now regularly travels as a full-time evangelist. God moves in Darrell’s services displaying mighty miracles of healing and inspiring the unsaved to receive faith in Him.